Toluene is a hydrocarbon that is present as a clear, colorless liquid at room temperature, with a characteristic smell. It is a toxic chemical that is sometimes used illegally as a recreational inhalant. Toluene Poisoning is the accidental or intentional intake of any product containing the compound. The exposure may be through inhalation, skin or eye contact, or following ingestion of the chemical. What are the Causes of Toluene Poisoning? What are the Signs and Symptoms of Toluene Poisoning? The signs and symptoms of Toluene Poisoning can vary from one individual to another. It may be mild in some and severe in others. Several systems of the body, such as the digestive system, respiratory system, vascular system, nervous system, skin and ENT may be affected. How is First Aid administered for Toluene Poisoning? Who should administer First Aid for Toluene Poisoning? 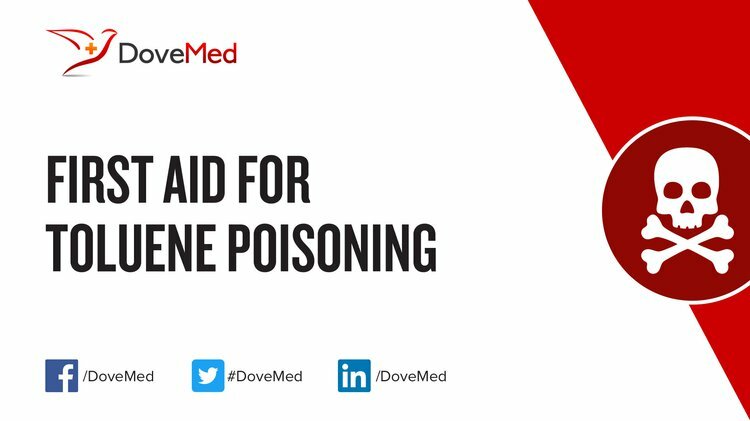 First aid for Toluene Poisoning is administered by healthcare professionals. What is the Prognosis of Toluene Poisoning? How can Toluene Poisoning be Prevented? Singh, M. P., Ram, K. R., Mishra, M., Shrivastava, M., Saxena, D. K., & Chowdhuri, D. K. (2010). Effects of co-exposure of benzene, toluene and xylene to Drosophila melanogaster: alteration in hsp70, hsp60, hsp83, hsp26, ROS generation and oxidative stress markers. Chemosphere, 79(5), 577-587. Gunson, T. H., Smith, H. R., & Vinciullo, C. (2011). Assessment and management of chemical exposure in the Mohs laboratory. Dermatologic Surgery, 37(1), 1-9. Chen, Y., Chen, J., Sun, Y., Liu, Y., Wu, L., Wang, Y., & Yu, S. (2010). Basic occupational health services in Baoan, China. Journal of occupational health, 52(1), 82-88. Mrazova, K., Navratil, T., & Pelclova, D. (2011). Use and accidental exposure to hallucinogenic agents reported to the Czech Toxicological Information Centre from 1995 to 2008. Substance use & misuse, 46(4), 460-465. Ford, J. B., Sutter, M. E., Owen, K. P., & Albertson, T. E. (2014). Volatile substance misuse: an updated review of toxicity and treatment. Clinical reviews in allergy & immunology, 46(1), 19-33. Tas, U., Ogeturk, M., Meydan, S., Kus, I., Kuloglu, T., Ilhan, N., ... & Sarsilmaz, M. (2011). Hepatotoxic activity of toluene inhalation and protective role of melatonin. Toxicology and Industrial Health, 27(5), 465-473. Mrowiec, B. (2014). Toluene in sewage and sludge in wastewater treatment plants. Water Science and Technology, 69(1), 128-134. Jang, J. H., & Lim, H. B. (2010). Characterization and analytical application of surface modified magnetic nanoparticles. Microchemical Journal, 94(2), 148-158. Preisser, A. M., Budnik, L. T., & Baur, X. (2012). Health effects due to fumigated freight containers and goods: how to detect, how to act. International maritime health, 63(3), 133-139.